Very happy to be reporting from this fine conference in the excellent city of Chicago. Kudos to organizers: this was a great agenda and set of speakers, and I thought the JW Marriot space and the hospitality worked just fine. I especially loved the availability of Diet Coke and sodas throughout the day! Let me share highlights and some thoughts on 8 of the sessions I attended (note: occasionally my tenses shift in these reports, when I transcribing live I use the present tense, when recollecting afterwards the past tense. apologies). developed all new UL and ML test. created a brand new elementary school admissions test. Goal: Caring about and supporting Admissions professionals. 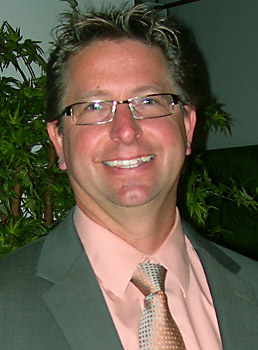 Wrote a report on the independent school professional. Desgined this conference with three themes: Lessons learned from higher ed, diversity and access, and future of assessment. Goal: Help families and improve customer service. improved current registration system and revamping for next year. appointed a computer based test advisory committee. 2. Phoebe Eng, the Thursday morning keynoter, described herself as a big talker, and tells a charming story about being told at age 5 by her mother that she is a big talker and she should find a career where she can do lots of talking. Her agenda, and I only mean that in a positive way, is for us to never stop or slow in being serious about diversity in our schools, diversifying as we are able to match the ever swifter diversification of American and global societies. Look at the curriculum, the reading list, the course selection. Teacher bodies have to be diverse. Recruitment comes first, but deep training is required too. The administration needs to be diverse– a high level of diversity. Formally collect narratives and stories from students both as they apply and during their enrollment in order to better identify talents and better build out the culture of diversity in the school. Messages from the top matters: where are your school leaders on these important issues? Confluence of like minded leaders can create change around diversity in schools. Who are these leaders in your school? Character and grit: how do we do better to develop and evaluate these in all students? A critical question for schools serious about diversity. Has your school drilled down into what you are trying to achieve when you advance in becoming more diverse? Equity, competitive advantage, greater learning for all? Communication is the first building block in every school for building stronger, more diverse community: put your emphasis on excellent communication curriculum. In addition to cultural communications and fluency, resilience comes next: learning from making mistakes. 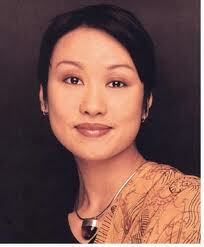 About her presentation style: well, I thought it was a disappointment. Why doesn’t she use slides? There is no spotlight on speakers in this room, and the way the space is composed, the podium sits almost in a shadow, so the speaker is almost hard to see at the podium, and despite a few hand gestures, she is not a particularly compelling presenter in her bodily expression. Frankly, and call me shallow, I seek and benefit from more visual stimulation and more visual reinforcement of the message. Not to pile on: there are important ideas in her talk– but it is a little bit of a disappointment to see her reading from lecture notes, which suggests she hasn’t prepared as well for a keynote I think is ideal. I know in part my feeling is the result of seeing too many TED-talks in the past few years, which are re-shaping our expectations of public speaking: we expect now speakers to be in front of a podium, enhancing their remarks with compelling visuals (not wordy slides, image slides and videos), and speaking in a fashion that feels more extemporaneous (even if it has been meticulously prepared for). 3. Catherine McLellan, a professional psychometrician who works for SSATB in various capacities, including consulting the Think Tank on the Future of Admissions Assessment, gave a fine introductory overview– informative, clear, comprehensible, designed for lasting understanding of the “big ideas”– on the topic What We Can Learn from Standardized Tests. There is a foundational set of key concepts and constructs– reliability, validity, predictive power, SR, CR, etc/– that need to be well understood in any constructive conversation about admissions testing, and Catherine provided this foundation quite smoothly, with a gently winning self-deprecating sense of humor and use of examples from her own family. Even more helpfully, she laid out a road map for her audience on “new directions:” computer adaptive testing (“psychometricians love it, but it is prohibitively expensive to maintain”), constructed response questions (expensive to assess), and vertical scales (easy to do if schools wish). 4. 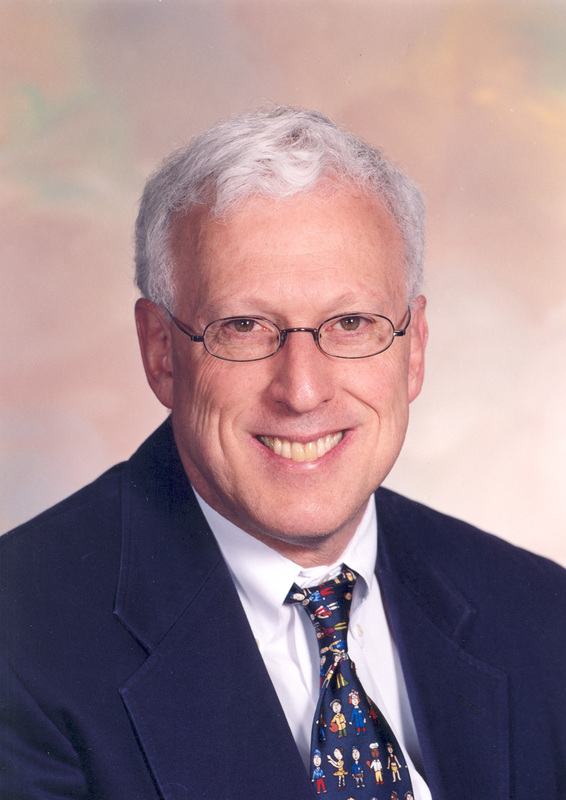 Robert Sternberg’s general session was a great highlight of this conference– the singular highlight I’d argue. It was unfortunate he could not attend, due to airline equipment failure, and yet, the virtual presentation he provided was just fine: informative, illuminating, inspirational. Please see my comprehensive post about his presentation, including all his slides, available here. 5. 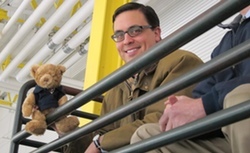 Chris Bigenho is a good friend and colleague, and he has undertaken a remarkable research project gathering information and offering valuable interpretations about the state of PK-2 admissions testing and assessment, visiting 9 schools and observing closely their process. This was a wide-ranging, packed with information, session, including some review of some of the many intelligence aptitude tests available for use with young children. For this listener, the key message was as follows: most schools use some form of intelligence/aptitude assessment, often administered by outside, certified experts but sometimes in-house; most schools are simultaneously, and somewhat oxymoronically, dissatisfied with the tools they use– uncomfortable with assessing IQ, worried about the limitations, the time-lengths, the expense, the “gaming” by coaching/tutoring to students by test consultants to families, of these tests– and yet, they are reasonably comfortable with the functionality of them for their purposes, are anxious about moving away from the status quo and the signals that would send to their markets, and are highly uncertain about exactly what they would like. 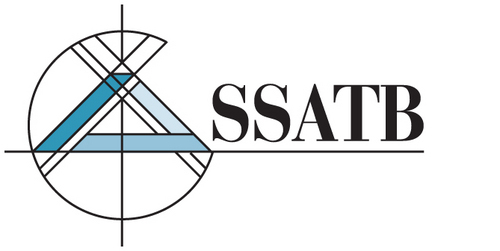 Chris’ research, as he reports it, just opens the door to potential future research, and, as best I understand it, doesn’t yet give SSATB a very clear direction about how and where to proceed to meet the needs of PK-2 assessment. Bravo and kudos to Chris for this thorough work and important reporting. 6. 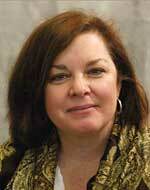 Robin Mamlet, former Dean of Admissions at Stanford University, provided the Friday keynote. Pleasant speaker who clearly connects with the audience in that she is us– she is a former, longtime, admissions director at both the college and secondary level. As with Phoebe Eng, and perhaps I am being too judgmental, but in a large room and for a keynote, I expect someone who isn’t reading from a written speech, and who provides some meaningful visual reinforcement with slides and graphics. She opened with with some sentimental, and utterly un-original, messages here for admissions directors, chief among them the importance for the admissions director of spending time with students, staying close to the student experience, and of spending time thinking, stepping back, saying where are we going and how are we shaping the future. This section of her talk was useful, some parts more than other, standout were her stories of how to “make it count.” I really appreciate her emphasis on identifying and being clear from the beginning to all constituencies what you intend to be your impact– on what you will make count. It was striking to hear her disclose her story about her time at Stanford, as diversity swiftly increased via her leadership, and there was pushback from the development/advancement office, she reports, leaked to and published in the regional media. She explained that she knew the impact she wanted to make, but she didn’t do a good enough job paving and padding the way, and bringing potential opponents and antagonists to your impact into your confidence and trust early. Very good advice. 7. Brendan Schneider and Travis Warren delivered an engaging, upbeat and energizing session on inbound marketing, social networks, and search engine optimization for better marketing your school. More than any other session I attended, other than that of John Medina, Travis and Brendan used slides in the way I think they ought to be used: visually engaging, light on words per slide, plenty of white space, and useful scaffolding and reinforcement of the presentation structure and key messages. Marketing now is conversation. What conversations are your inviting, facilitating, sharing, distributing on your website and in your social media? What more can you do here? SEO: How improve your SEO? Get your keywords into your url, get them into your title, and get them into your HTML headers. Most important single SEO Nugget: For anything you post to your site to enhance SEO, you have to provide an image with every post, and make sure your image, when posted, is labeled also with your keyword! As you work to manage SEO, you have to track your google referrals to evaluate your effectiveness of your keyword strategies. Tracking site traffic generally doesn’t do it: track your google referrals. Then, right after tracking the data, track the keywords bringing people to your site. What is working for you that you intended to work for you, and what is working for you which you haven’t thought of before but are perhaps opportunities to do even better by? One attendee asks the question, how can you control what people find when they search and there is some scandal in the school’s history? Answer: there is no control, there is no way we can manage the free-flow of information, but your school site probably does want a page addressing it head-on. They also offered very good advice about use of a “landing page” separate from your website home-page– something every website manager needs to swiftly become savvy about. 8. 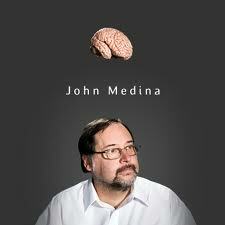 John Medina probably ties Sternberg, or comes in a close second, for most most winning program This multi-time teacher award winner draws upon his own expertise in brain science to design and deliver his presentations, and he infuses them with enormous energy, enthusiasm, and intensity. He also explained toward the end how he ensured providing us moments of meaning, of emotional engagement or significance, every ten minutes, exactly as he thinks we should do for our students. The emotional stability of the home is the single biggest predictor of academic success. If the home is emotionally instable, executive function declines sharply. We don’t know very much about the brain; and I am very skeptical about the how truly applicable current nuero-science is to the classroom, to learning in general. “You can go home now– nothing here to learn, I am afraid.” Deeply skeptical– there is too great a divide between the limited, limited scientific knowledge about the brain and educational. The human brain evolved to solve problems to improve survival, outdoors, in unstable meteorological conditions, and to do so in near constant movement. Two years ago I wrote a post on how schools and educators can (and should) use Medina’s Brain Rules to generate questions for teacher research; exactly as he said today, brain research doesn’t answer questions for educators, it poses questions for educators to explore and examine themselves. Forgive me, but let me paste in a few paragraphs from that post, and encourage those who were intrigued by Medina to read on. 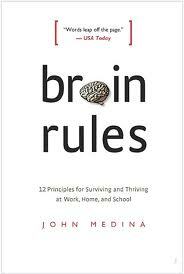 John Medina’s Brain Rules is a great read: fun, breezy, informative and applicable: his website too is an awesome collection of resources. I think an important and rising practice in teaching today is that of the experimental teacher, one who deliberately, and collaboratively, tests techniques in learning as an active educational researcher, and draws conclusions about best practice from first hand trial and error. We know that there are others out there telling us how we should teach (Doug Lemov: Teach Like a Champion), and I think we should be paying attention, but I think we all can become better teacher-researchers ourselves. For those educators who are practicing research, Medina’s book is a great resource: in every chapter he provides examples of brain-research based practices which should, he argues, improve learning. But don’t take his word for it– try it and assess the results. (And then publish them on your classroom teacher blog!). Below are 8 of his suggestions especially well suited for such classroom experimentation, but don’t be limited by these suggestions; use the book to discover your own opportunities for experimentation. 1. Exercise so boosts brainpower that learning is enormously enhanced when students are engaged in light exercise during or in times adjacent to learning. Medina recommends treadmills under each student’s desk, which seems ideal but a bit impractical. What if a teacher, in a 75 minute period, divided the students in half, sending one group out for a five minute brisk walk halfway through the lesson while the other group review notes, and then quizzed both groups afterwards. Which group would perform better? Back to his presentation today. Somewhat confusingly, to my ears, Medina took somewhat contradictory positions regarding research about the impact upon the brain of student digital experiences and multi-tasking more particularly, offering first two columns of research evidence, one for the deeply detrimental effects, and one for the powerfully positive effects. He then asked rhetorically: what do we know about the long-term impacts of digital lives and multi-tasking, or the question Is Google Making Us Stupid? WE DON”T KNOW, he shouted at the top of his lungs. OK. He then went on to spend the next thirty minutes ardently battling multi-tasking, arguing that there is strong evidence to support that students perform poorly when multi-tasking, not only taking longer but scoring less well. Self-aware most certainly, he said several times he knows what he is saying will be very unwelcome by the younger generation. Emphatically he urged us to recognize that if we want students to take more time to do less well, let’s have them do it while they are listening to music, watching youtube, texting, IMing, and facebooking. He also cited the well known Ness research from Stanford that in fact, those who multitask more often than others multitask less well than those who multitask rarely! To further illustrate the dangers of multi-tasking, (and hence move even further away from his initial agnosticism), he shared the research from highway safety studies, not about texting, the dangers of which we all know, but of cell phone use. Talking on cell phones while driving, the research strongly suggests, is worse, considerably, than driving drunk (and, by the way, talking on the phone using a “hands-free” device is MORE dangerous than talking on a hand-held phone). He made a personal plea as a father of children of whom he is fiercely protective: Don’t talk on the phone while you drive! Toward the end of this high velocity session, (and he made an amusing remark that he observed many of us having put down our pens and notebooks (and laptops), having given up on keeping up with him, which he said was the better choice because he speaks at the speed of light), he shifted gears to the critical question of how to attract attention in spoken presentations, and how to combat the 10 minute effect– the brain rapidly loses focus after ten minutes of listening. Chunk, chunk, chunk: break your talks into ten minute segments, and every ten minutes, stop and provide meaning, provide emotionally compelling stories or highly significant, surprising or startling news, to reset the ten minute clock. 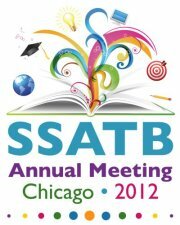 Thank you very much, SSATB, for a very fine two days of learning. It has been a valuable and pleasurable experience to be in attendance. Great summary Jonathan. I’m looking forward to following the work of the Think Tank and determining how to establish a baseline of skills and gifts applicants bring to the table. It will be fascinating to see how information gathered from the students we admit will naturally flow into creating collaborative groups and PLE’s (Personal Learning Environments).